A guide to running in the Hamptons. Best places to run in the Hamptons. This is our guide to running in the Hamptons, a string of seaside communities on eastern Long Island’s South Fork, popular as a summer destination for New York City residents. 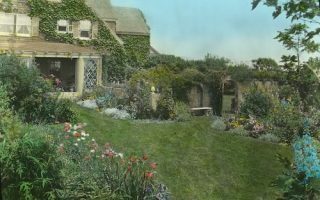 It’s a bucolic area, with long stretches of beach and an interior of farmland, towns and villages with 18th-century shingle buildings and estates hidden behind tall boxwood hedges. 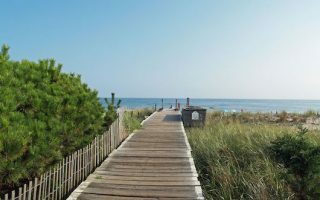 Our Hamptons running guide features 1-2 iconic routes in each of the major towns, from west to east: Westhampton, Southampton, Bridgehampton, East Hampton, and Montauk. Several routes are along seaside and beachfront roads, many lined with the estates of the rich and famous. We also feature some pleasant interior farmland roads, and some of the more runnable of the Hamptons’ extensive series of trails. Several of our routes are inspired by group runs taken from the Gubbins family running stores in East Hampton and Southampton, and by a series of road races operated by Run the Hamptons. A note about running on the beach in the Hamptons: Although there are miles and miles of fabulous beach, the sand tends to be softer. The firm, compact sand that’s great for beach running is situational. 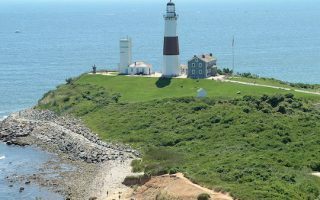 The Hamptons are accessible by train from New York, with a stop in each major town, out to Montauk. Within the Hamptons, there are some local buses, as well as The Free Ride, a shuttle service using electric vehicles (and yes, it’s free!). For a long, straight, flat run with water views, this is the best bet in the Hamptons. Dune Rd. 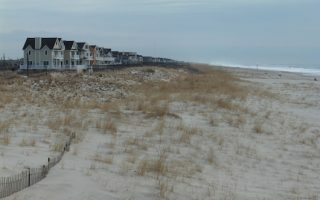 runs for 14 miles, from Cupsogue Beach County Park to Shinnecock County Park West at the eastern end. Good water views, marshes, dunes. A wonderful run, with estates and water views, incorporates Pond Ln. and Meadow Ln. It's 6 miles one-way from the center of Southampton to the end of Meadow Ln. at Shinnecock East County Park. The highlights of Bridgehampton and Sagaponack, using the course of the Bridgehampton Half Marathon, organized by Run the Hamptons every April. A good way to tour both towns, nice combination of ocean, farmland, and estates. 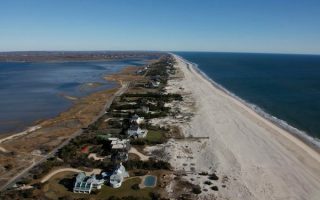 A great run along beachfront roads lined with iconic Hamptons estates. The highlight is Further Ln. For a longer run, head further east along Bluff Rd. 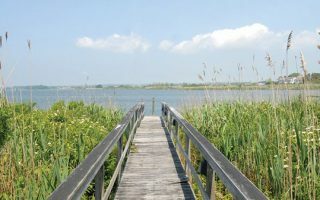 to the Amagansett National Wildlife Refuge. Good, flat, out and back options here, for the distance of your choice. There are two good running options in East Hampton: east, along Further Ln. toward Amagansett, and west, toward Georgica Cove. 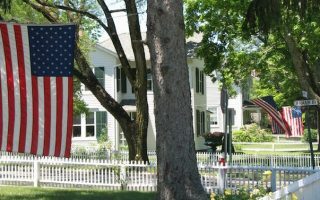 This route is a 5.6-mile run heading west, featuring pleasant streets with gracious homes. A popular destination at the tip of Long Island. 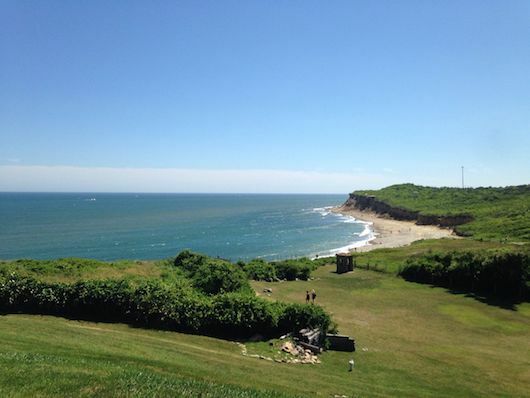 A great loop is to enjoy the Bluff lookout, Montauk Point Lighthouse, and Montauk Point State Park, where there are miles of trails. One of the best spots in the Hamptons to get in some hills. 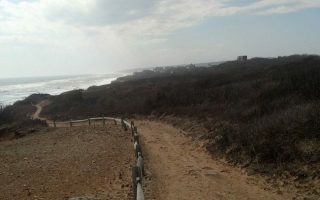 A 90 acre park with some stairs leading to a nice section of beach. Open, rolling geography, shadbush, bluffs, freshwater wetlands. Enjoy the 1.2 mile Roosevelt's Trail loop trail in park, and sections of beach. Adjoining roads for a longer run. Sag Harbor is a lovely waterside village listed on the National Register of Historic Places. Self design your own tour using Main St. and the quaint, leafy side streets. Our 6-mile Sag Harbor-North Haven loop, incorporating two bridges and great water views. 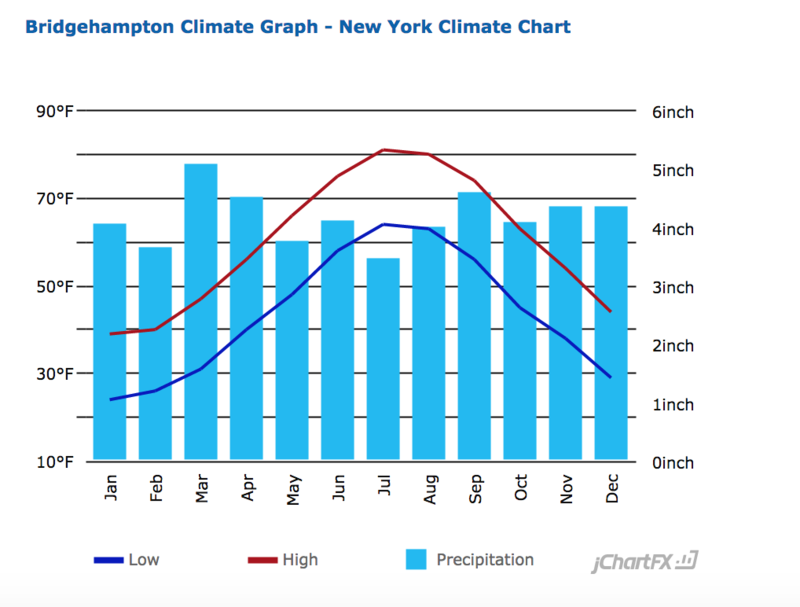 Hamptons weather is typical of southern New England, but moderated and influenced by the ocean. Summers are warm to hot, with average high temperatures in the low 80s (27C), and warm nights. It’s usually a few degrees cooler than inland and not as humid. Fall is gorgeous, with mild temperatures, and it takes a good few weeks longer than interior areas for real autumn chill to set in. Winters are cold and damp but not frigid. Average high temeratures are above freezing (39F, or 3C), but dip into the mid-20s at night. So icy surfaces are something to keep an eye out for. The most severe storms, ‘Noreasters, can occur several times a year from October to May, bringing heavy wind and precipitation, and coastal flooding. The area receives an average 26 inches (66 cm) of snow annually, with snowfall moderated by ocean temps. That same ocean influence can make spring cool and damp when the winds are coming off the cool water. The Gubbins family operates three running stores in the Hamptons: Gubbins Perfect Fit and Gubbins Running Ahead in East Hampton, and Geary Gubbins Sports in Southampton. Every Sunday at 8am from Memorial Day to Labor Day, the Hamptons Marathon & Half hosts training runs that are free and open to all. The runs leave from Gubbins Running Ahead in the heart of East Hampton Village. Hamptons Half-Marathon/Half/5k. September, Southampton. 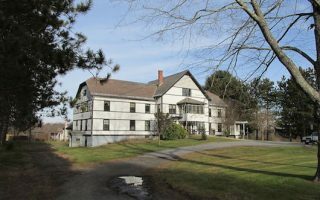 A flat, fast run through Southampton Village with views of the Atlantic Ocean and Shinnecock Bay. Bridgehampton Half-Marathon. April, Bridgehampton. Wonderful race, operated by Run the Hamptons.